Senator Pat Browne was elected by his colleagues in the Senate Republican Caucus to serve as Senate Appropriations Committee Chairman for the 2015-16 Legislative Session. The committee, one of the most powerful of the Senate’s standing committees, reviews all legislation for its fiscal impact and plays a crucial role in developing the state budget. Before being elected Senate Appropriations Committee Chairman, Senator Browne served as Senate Majority Whip for the 2011-12 and 2013-14 Legislative Session. Besides serving as Appropriations Committee Chairman, Senator Browne is also a member of three Senate Committees: Education; Finance; and Transportation. He is also a member of the Senate Majority Policy Committee. Senator Browne is Co-Chair of the bi-partisan, bi-cameral Early Childhood Education Caucus and the Legislative Arts and Culture Caucus. 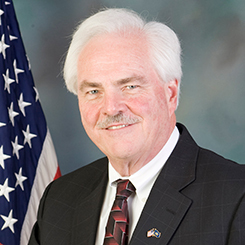 He previously Co-Chaired both the Basic Education Funding Commission and the Special Education Funding Commission. State Senator Jay Costa was elected in a special election in April 1996. He is now serving his fifth full term representing the City of Pittsburgh, East Hills communities, areas of the Mon Valley and South Hills (43rd District). As a lifelong resident of Allegheny County, Sen. Costa was born and raised in Pittsburgh and now lives with his wife Roxanne in Forest Hills. He has three children – two sons and one daughter. He is the son of the late Allegheny County Treasurer Jay Costa Sr. A graduate of Taylor Allderdice High School, Community College of Allegheny County (A.S. 1977), and Indiana University of Pennsylvania (B.A. 1979), he has a Juris Doctorate from Duquesne University (1989). 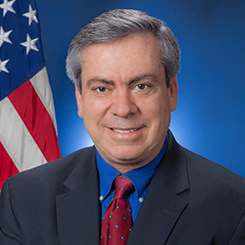 Before his election to the Senate, Sen. Costa was a deputy sheriff in Allegheny County and Allegheny County Register of Wills. 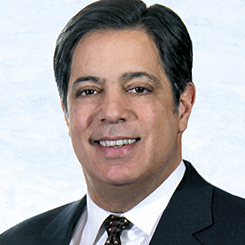 He is currently a Principal in the downtown Pittsburgh law firm Dickie McCamey & Chilcote P.C. James has more than 40 years of experience as a local businessman, working in both the banking and investment management sectors. He is dedicated to creating policies that empower local employers to create good-paying jobs for workers. In order to do this, he supports efforts to streamline regulations in an attempt to eliminate red tape and unleash the entrepreneurial spirit that drives Pennsylvania’s economy. In addition to promoting private-sector job creation, James’s other legislative priorities include investing in the infrastructure necessary to promote a strong economy and safe communities, responsibly harvesting Pennsylvania’s abundant natural resources in a way that promotes economic growth while protecting its environmental integrity, and improving the education system for Pennsylvania students and parents. Representative Tim Briggs is currently serving his fourth term as state representative for the 149th Pennsylvania Legislative District, which consists of Upper Merion Township, Bridgeport and West Conshohocken boroughs, and parts of Lower Merion and West Norriton townships. A native resident of Montgomery County, Representative Briggs currently resides in King of Prussia with his wife, Robyn, and their four children, Emily, Jack, Alexandra and Morrison. 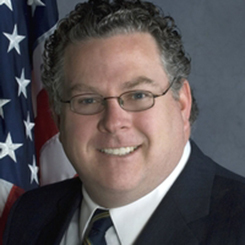 During his time in the House, Representative Briggs has become a strong voice for kids and has consistently advocated for public education, early childhood education and introduced legislation focused on improving the lives of children and investing in making Pennsylvania strong for the future. As a freshman, he was able to get a law enacted that helps keep siblings in foster care together when they are placed into foster homes. Briggs was also successful in authoring legislation that has addressed the dangers student athletes face from concussions and improved the gender equity in school sports. Currently, Representative Briggs has bills introduced to implement anti-bullying policies in our public schools, protect children from accessing firearms, and increase transparency of campaign finances.